As we continue our search for Lao Americans in the field of writing, art and community; this is the first in a series of interviews with emerging Lao Americans who have been making their mark in our communities. Today, I’m highlighting the work of 20 year-old visual artist, Sompaseuth Chounlamany, from Bristow, Virginia. Somapseuth moved to the states in 1997 from Laos and has been honing his artistic craft to reflect the lives and traditions of Lao people since. CP: You’re quite young for an artist. When did you start picking up a brush to paint? SC: For as long as I can remember, I’ve always loved to draw and paint. When I was a young child, I drew on walls, books, photos and just any surface I could reach. On my eighth birthday, I received my first paint set; I was even more thrilled to paint. Since then, painting has become my ultimate passion. CP: Your paintings are detailed and elaborate. What are your influences and what is your creative process in your artwork? SC: My cultural heritage has a significant influence on me and my art, besides nature, people and the works of the Old Masters. I’m deeply fascinated by the stories shared by my parents about their past life experiences, particularly about their family history. My mother is a native of Luang Prabang, her colorful stories of this beautiful town continues to inspire me. Hence, most of the women depicted in my works are dressed in traditional attires that are unique to Luang Prabang. I’d sketch out ideas that come from direct observation, my imagination and photo references. Then I combine my studies to create a composition. I prefer to paint in layers, which means applying thin transparent film of color over the opaque painted surface; because it allows me to emphasize on the details of my subjects, especially the intricate patterns of Lao textiles. Although, one piece may take months to complete, but the end result is most rewarding. CP: The majority of the youth in Laos are raised for farming, fishing, and agricultural work. How was your choice to be an artist different than other Lao youth? Do you come from a family of artists? SC: Although, no one in my family does art, but my parents have always been supported my artistic endeavors. They are pretty open about their children’s aspirations and career decisions. CP: Much of your depictions are of classical Lao people in their daily lives and cultural traditions. What inspires your work? SC: Many things inspire me to paint the Lao people of the antiquity; my inspirations include literature, historical accounts and artifacts. Photographs and postcards from the late 19th and early 20th century are the most valuable source of inspiration. Although, my goal is not to paint an actual historical event or any particular people, in fact, my main intention is to communicate the essence and beauty of Lao culture. I’d like to showcase the Lao art and culture in its pristine form. 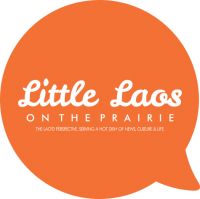 CP: Let’s talk about your journey from Laos to Virginia. Has this impacted your artwork in any way? If so, how? SC: Being away from my homeland has had a great impact on how I view myself. When I first set foot on the U.S. soil, I was immediately aware of the language and cultural differences. The sudden change actually evoked me to become aware of my cultural identity. I didn’t quite fit into the new culture; I remember I often daydreamed about the place where I was born. CP: In Laos, there seems to be an abundance of local visual artists. How do you feel about the creative environment here in America? In what ways is it different or similar? SC: I’m not quite familiar with the contemporary art activity inLaos. Though, I think that the art scene in theU.S.is very competitive. CP: What would you like to see happen with your artwork? What is your dream project? SC: I’d like to keep challenging myself, learning from my mistakes and keep growing. I’d like to learn more about the techniques of the Old Masters, specifically the artistic manner of Rembrandt and Vermeer. My dream project is to travel toLaos; I want to capture the unspoiled atmosphere of its countryside and its vibrant ethnic cultures. CP: If you could pick one favorite artist, dead or alive, who would it be? SC: I have many favorite artists, but if I have to pick one, it would be the English Pre-Raphaelite painter John William Waterhouse. CP: One of my favorite pieces of yours is “Memories of Lan Xang” with a young woman next to a historical mural. If you could pick one piece that reflects who you are as an artist, which one would it be and why? SC: I’d pick a piece called the “The Lao New Year.” This painting makes me feel attached to my roots. It depicts the dancing Pou-Nyer, Nya-Nyer and Sing-Keo-Sing-Kham, the legendary Lao ancestors. It’s probably the only painting that I spent more time working on, and the concept of work came solely from imagination. CP: Where can people see your work on display and most importantly, where can they buy a piece to take home? SC: Please check my online art gallery at http://fineartamerica.com/profiles/sompaseuth-chounlamany.html or like/add me on Facebook.